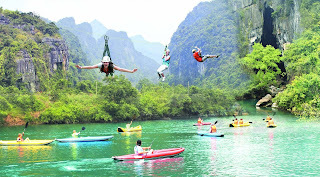 The Phong Nha-Ke Bang National Park is located in Bo Trach commune, Minh Hoa district, Quang Binh province, from 50 km to Dong Hoi City northwest and from 500 km to south's the capital, Hanoi. Phong Nha-Ke Bang National Park is located in a limestone area of about 200,000 hectares with a core area of the national park is 85 754 ha and 195 400 ha a wide buffer zone, to August 2013 the national park area is expandable up 1233.26 km2. With about 300 caves and conserve ecosystems in areas north of the Truong Son North Central Vietnam. 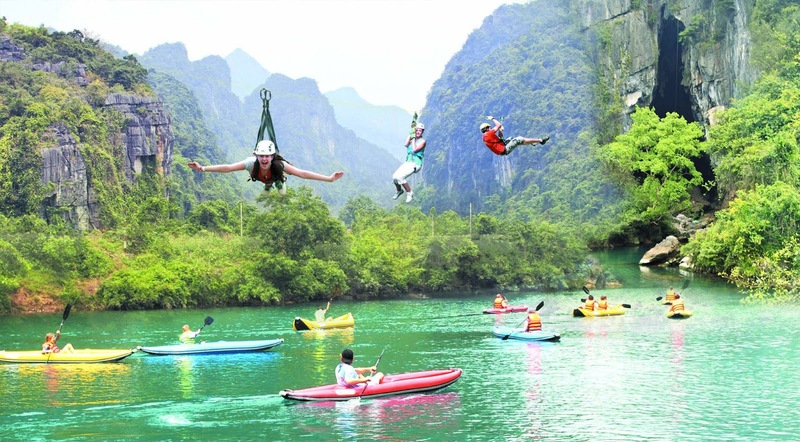 Characteristic of this national park is the tectonic limestone, 300 caves, underground rivers and rare flora and fauna in the Vietnam Red Book and World Red Book. The caves here have a total length of over 80 km but the only 20 km is exploring, of which 17 km in area and 3 km in Phong Nha-Ke Bang area. The Phong Nha-Ke Bang National Park is probably one of the distinctive pattern of the most beautiful and complex tectonic karst in Southeast Asia. Recognized by UNESCO as a World Natural Heritage by criteria geology and geomorphology in 2003, and the 2nd by UNESCO as a World Natural Heritage with biodiversity criteria, ecology on 3 months 7 2015. 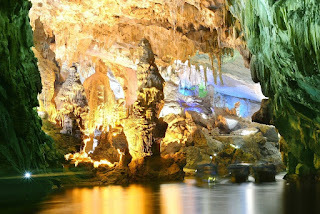 Southeast Asia, the Karst of the National Park Phong Nha-Ke Bang older age, geological structure is more complicated and there are a variety of underground river systems and more complex. 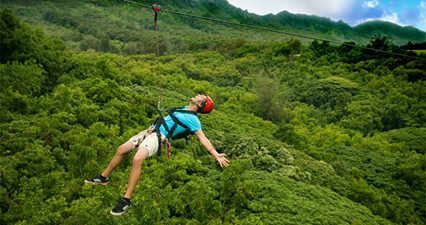 With beautiful cave systems and rich than anywhere in the world along with the flora and fauna is equally diverse, The Phong Nha Ke Bang National Park being a destination get the support of all domestic and foreign tourists.